Sardines are always in high demand due to their high content of omega-3 fatty acids and their inconsistent breeding patterns. Native to oceans around the world and abundant in Lake Tanganyika in west central Africa, the sardine cichlid can be imported from online retailers or purchased from exotic fish stores to be raised and bred in home aquariums. Sardines are easy to care for: They are not picky eaters, they do not eat their young and they are not aggressive unless the male to female ratio is disproportionate. Successful breeding is dependent upon happy fish, so it is vital to mimic their natural habitat. Obtain sardine cichlids. Sardine species are classified by geographic location, the variations being mostly in coloration. Males display colorful scales while females are typically gray. There are two sizes: standard and jumbo. Standard are slightly smaller, growing 3 to 3 1/2 inches long; jumbo sardines reach up to 5 inches in length. In the wild, sardines live in schools of thousands of fish, but they will be happy in a minimum size school of between 10 and 20. The male to female ratio is optimally one to two. 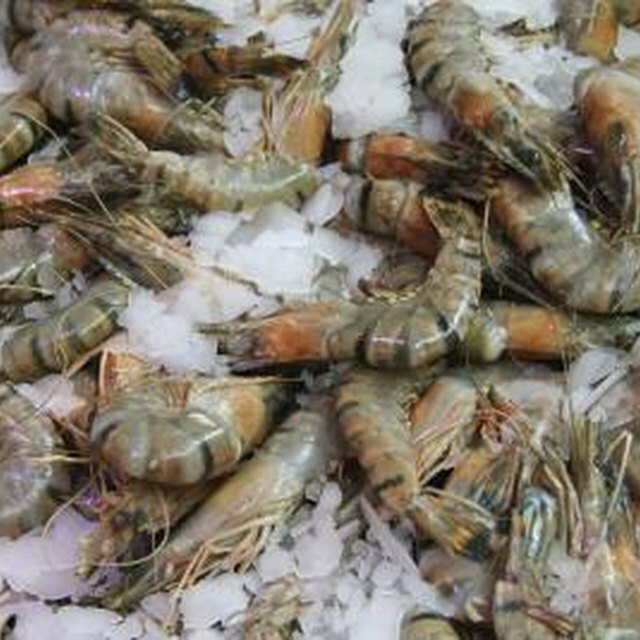 Costs range from $10 to $130 per fish as of January 2010. Purchase an aquarium that coincides with the type of sardine you are going to breed. The minimum size for a school of standard size sardines is 4 feet by 20 inches by 18 inches. 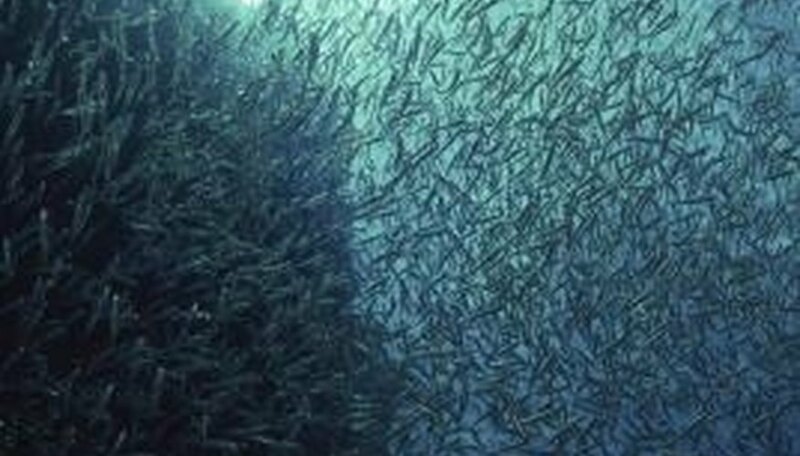 The minimum size tank for jumbo sardines is 4 feet by 2 feet by 2 feet It is better to overcompensate with the size of the tank, as sardines are active swimmers. A tight fitting lid is essential; without it, sardines will likely jump out. Construct a rock wall somewhere in the aquarium that the fish can swim around. The wall must reach all the way to the surface of the water. In the wild, sardines spend most of their time swimming among rocky shorelines or outcrops. Consider including substrate. You do not have to cover the bottom of the tank with anything, but if you’d like, sand works well. The more room for swimming, the happier the sardines. Purchase fish flakes to feed your sardines and also offer them an occasional frozen aquatic treat. Sardines are not picky. In the wild, they eat primarily plankton. Discuss the type of flakes with an expert at your local pet supply store and follow directions on the packaging. Fill the tank with water that has a pH of between eight and nine alkaline on the pH scale. You should keep the water at a temperature of 75 degrees Fahrenheit. This might require that you purchase a thermometer and tank heater at your local fish supply retailer. Acclimate the sardines to their new home by placing them in bags in the water they came in atop the tank water for an hour. Release them, adding the water they came with to the tank, and let them explore. Reproduction will occur naturally. There will be 5 to 25 eggs produced for each union, but most of them won’t survive. This low survival rate is one reason why sardines are always in high demand. The young school themselves, after which you can transfer them to separate tanks to continue the breeding process. Some breeders find that adding salt from the sardine’s native waters enhances breeding success. "Sydney Cichlid Aquarium: Cyprichromis Leptosoma Profile"
Rae, Kara. "How to Breed Sardines." Sciencing, https://sciencing.com/breed-sardines-5942884.html. 24 April 2017.